Add to your Rock Candy collection with this great piece of merchandise. This Harry Potter Rock Candy figurine stands at 5" inches tall, holding his own fateful prophecy, and comes in a window display box – he'll be great to display on your office desk or at home within your gaming den. 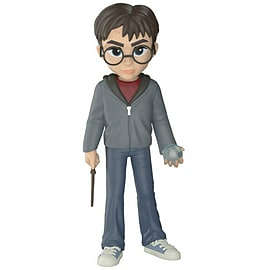 Shop the Rock Candy Harry Potter Collection today, at GAME. This Rock Candy Figurine features Harry Potter having just intercepted his prophecy from the Department of Mysteries, under the nose of Umbridge and the Death Eaters. Marking an important stepping stone for Harry on his journey to fight the Lord Voldemort, you don't want to miss this exciting piece of Harry Potter merch!